Evergreen shrub. Slow growth. Compact rounded form. 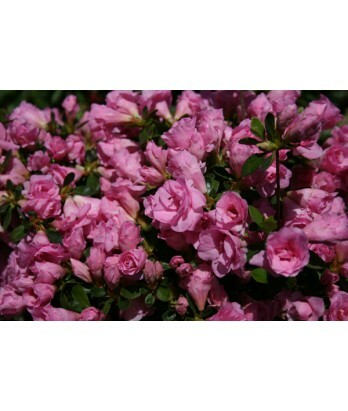 Small double-pink blooms look like miniature roses. Small medium green leaves. Regular water needs in well-drained soil once established.